The University of Arizona opened in October 1891 and the original cactus garden was created that same fall by Professor James W. Toumey, the botanist for the Agricultural Experiment Station. The cactus garden was located in front of Old Main until 1929 when it was moved to the east side of the building. The garden contained 600 species and stretched from Old Main to Highland Avenue. Eight boojums from Baja California were planted in the garden in the 1930s. The rare trees are now a protected species by the Mexican government. The garden once included the tallest boojum in the state of Arizona and oldest in the United States. That tree became diseased and was cut down in 2005. Construction and expansion of the mall forced parts of the cactus garden to be moved to other areas of campus in the 1950s. In 1980, the garden was dedicated to conservationist and naturalist Joseph Wood Krutch who spent the last years of his life in Tucson writing about the desert and ecology. Many of his manuscripts are held by the university. 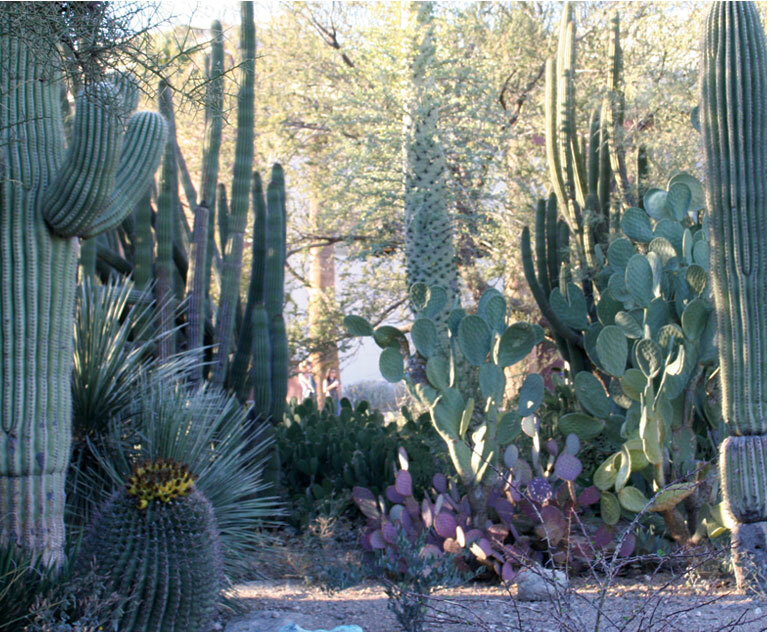 During construction of the Alumni Heritage Plaza in 2004, the garden was enlarged and more Sonoran species were added to the east side. New, younger boojum trees were added, as well. Featured plants in the garden include ocotillo, jojoba, night-blooming cereus, organpipe cactus, saguaro, and velvet mesquite.